I first signed up for Nakumatt’s customer reward scheme in 2003, when it first came out. I was making a big purchase at Nakumatt Mega, when the cashier asked me whether or not I had a Nakumatt Smartcard. Having no clue as to what he was talking about, he told me that a Nakumatt Smartcard was a card that allowed customers to accumulate points with every purchase made at Nakumatt. These points would then one day be redeemable for awards – sort of the way it’s done in a frequent flyer’s program. At the time, I was not much of a Nakumatt shopper. In those days, Uchumi was my preferred supermarket chain. Still, I knew I would be making a number of big household purchases at Nakumatt in the near future because I was moving into a new home and so decided to sign up. From then on, I happily presented my Smartcard each time I made purchases at Nakumatt, despite not being sure what kind of awards my points would win me. I figured: better collect points while I waited to find out. 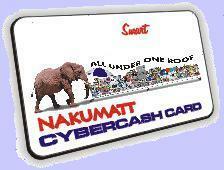 Later that same year, or sometime during the next year, I lost my Nakumatt Smartcard. I didn’t know where I had lost it, but every time the cashier would ask me whether or not I had a Smartcard, I would have to tell him or her that I didn’t have it on me. At first, I thought I might have misplaced it in my new home while moving in, but very soon, I realized that it was truly lost. This past year, I began to shop a lot at Nakumatt. As I would pay for my purchases, I would often contemplate the number points that I was missing out on by not having my Smartcard. I then began to seriously try to find or replace it. One day, I asked a cashier what it would take to replace my Smartcard. He told me that I could do so at a cost of 500 KSh. After expressing my lack of willingness to spend that sum, he suggested that I check at the customer service desk at that branch as well as that of the Nakumatt branch, which originally issued my card. This I did to no avail. After looking through piles and piles of cards (I was amazed at the number of lost cards that I saw! ), still I could not find my card. Months passed by. Still unwilling to purchase a new card at 500 Ksh, I one day found myself at the customer service desk at Nakumatt Ukay trying to track down a set of keys that I had misplaced. While I waited for one attendant to find out from someone else about my lost keys, I asked another attendant if by chance he might have my lost Nakumatt Smartcard. He asked for my name and then proceeded to look through another huge stack of lost cards. Lo and behold! My card was finally found…after 3 years. If your card is lost, I wish you swift recovery of it. It took me three years to find mine, so don’t give up hope! 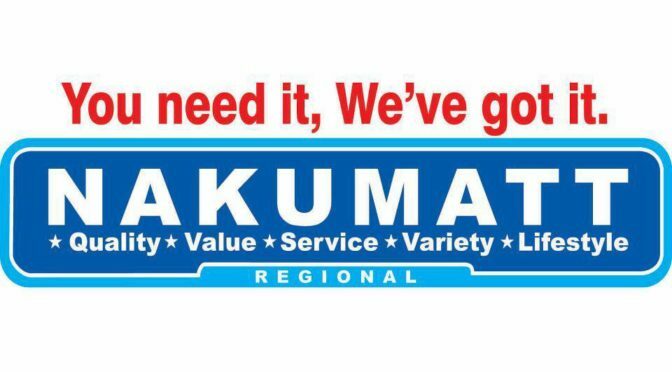 What do you think of Nakumatt’s reward program? Has it been useful to you? Have you ever redeemed your points for something that has been truly worthwhile to you? If so, I would love to hear about it. Just stumbled across your blog, really nice. Asante. Lots in here for me, but weirdly this is the one that has driven me to make a prosaic comment! What are Nakumat smartcards actually for?! I have like a gazillion points and no-one seems very sure what they are good for. Anyway, thanks for all the good information with a nice personal spin. Welcome to ChickAboutTown! I am pleased that you find my blog useful. Your question had me laughing – you’ve got a valid point. From experience, I have to two things to share with you: 1) I once saw a list (at a Nakumatt Customer Service desk) which enumerated many things that points could be redeemed for. Of interest to me were things like holidays to Mombasa and mobile phones. Maybe you can ask to see if any such list still exists. 2) I once saw a friend who was broke pay for her groceries with smartcard points. At the time, I didn’t even know that this was possible. 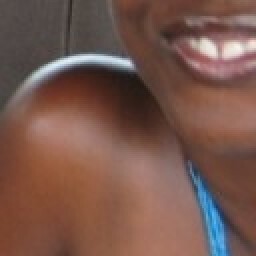 She exchanged her points for value – 1 shilling per point – and managed to buy things that she desperately needed. I don’t know if Nakumatt still does that today, but maybe you could ask. That’s all I can think of, off the top of my head. Can anyone shed any more light?